I continue to work on the new layout for my web site at New Dawn Photography. I appreciate all the comments and help that I have received along the way. Especially from my friend Rod Barbee. Take a look at Rod’s web site at www.rodbarbee.com and check out Rod’s photography or maybe even sign up for one of Rod’s workshops. Rod is a great photographer as well as workshop leader and instructor. I most recently updated my waterfall gallery on my site and I encourage you to check out the images in this gallery. The image I included in this post is of Stanley Falls. 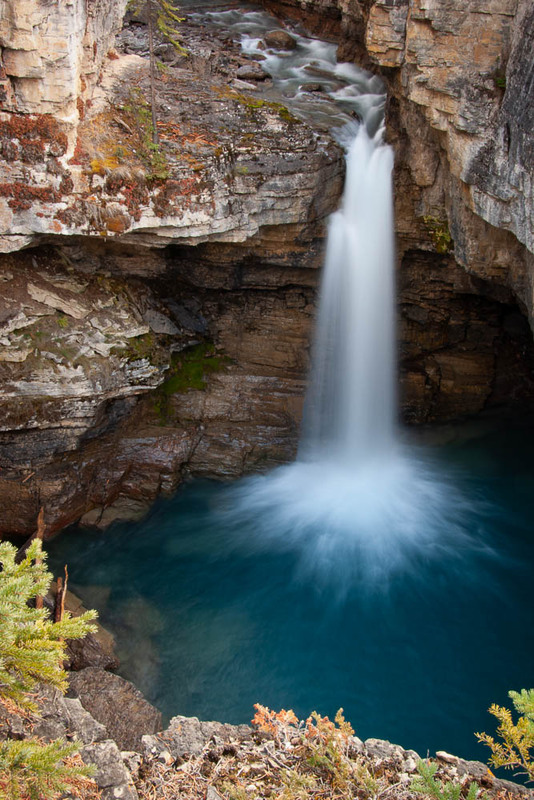 Stanley Falls can be found along the Ice Fields Parkway on the way to Jasper, Alberta in the Canadian Rockies. Its an easy hike of the main road. Parking is close by and the walk is not that difficult. If your up that way traveling from Banff to Jasper, make a stop and photograph this great Waterfall in the Canadian Rockies. You can see this image and more in my Waterfall Gallery which you can find right here. Enjoy!